Surrender at 20: Infernal Diana now available! "Deny me no longer!" 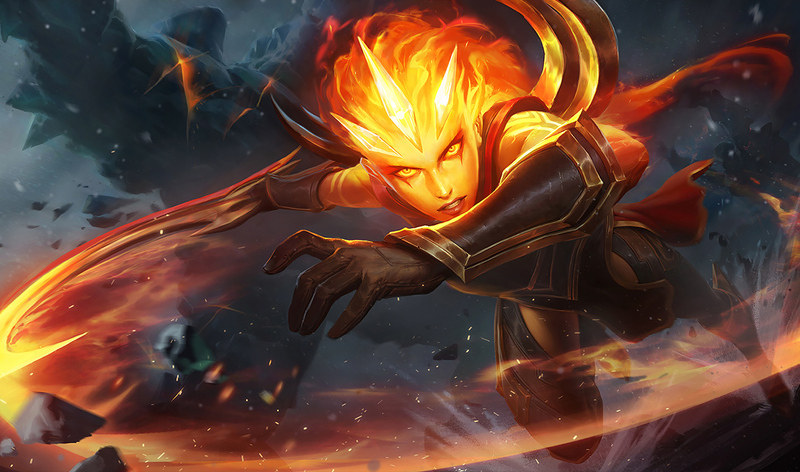 Infernal Diana is now available for purchase! "We honor those who shattered ice and stood beside the blazing moon. Let Infernal Diana be your beacon; a burning blade illuminating your path to victory. Celebrate Team Fire’s blazing triumph at 2015 All-Star Event and the millions of players who voted for the twilight assassin with Infernal Diana, now available in the League store for 1350 RP."